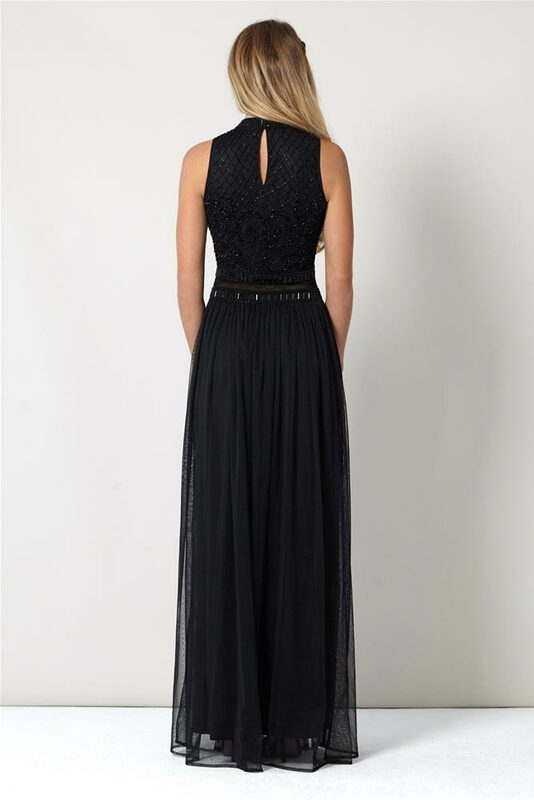 Full length embroidered dress ideal for a ball, Christmas party or a special occasion. Stunning black sequin embroidery trim that really adds a touch of glamour to this dress. Made to really flatter you figure, this dress will skim over your figure beautifully.